Will the Motorola DROID Bionic have an OMAP processor under the hood rather than Tegra 2? Recently we told you about about some specs for the Motorola DROID 3 gleaned from the NenaMark benchmark web site. On Saturday, the same site had some specs for the Motorola DROID Bionic. Regardless if this model is the Motorola Targa instead of the Etna, the DROID Bionic will have the PowerVR SGX 540 GPU on board, similar to the DROID 3. And that GPU seems to come only with a Texas Instruments OMAP 4 processor. If you are keeping a scorecard, you can scratch out the Tegra 2 and replace it with a dual-core 1GHz TI OMAP 4. Also, according to the NenaMark site, the Motorola DROID Bionic will ship with Android 2.3.3 installed, which is an improvement from Froyo, but also means no Google Talk out of the box. While all reports say the device will come with a 4.3 inch screen, according to the benchmark site, the resolution will be qHD. 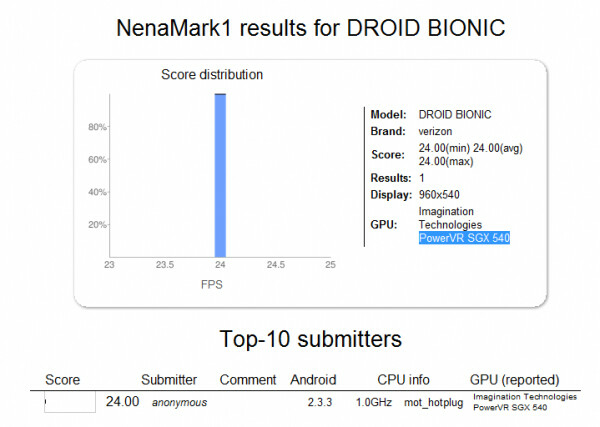 If there is one troubling aspect to NenaMark's benchmarking of the DROID Bionic, it is that it scored 24 on a benchmark test compared to a 45.70 score for the Motorola DROID 3. But it is still very early days for the former. 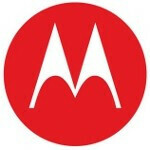 Motorola has not officially confirmed that the DROID Bionic will be the Targa and there still is a lot of tweaking and fine tuning to do before the phone even gets introduced. Tegra is a good processor but i hope it has the omap. Those are supposed to be one of the best duel core processors with arm architecture. forgot howmany there. Snapdragon is a good one to but actually sobody if they will can list all the different arm cpu's. or a link to a comparison site of all that would be the bees nees. yeah, i have the same theory. what i mean is i had the idea that the Tegra II isn't working with the LTE radios because i put the pieces together myself. if everybody else put it together good for them. haven't you seen me talking about it in other articles? I hope to see this processor on the DROID 3 then we will be able to see what's in store for us. One thing is for certain, the Bionic had better be one bad mamma jamma when it finally hits the market. With all of the leaks, hype, and delays associated with this phone, if it's not the end-all be-all device it's being touted as, it's going to be seen as an enormous failure. Had the Bionic been released a month or two ago, it might have set the paradigm for what a smartphone should be. But the longer it waits to launch, the more likely it will just wind up as an also-ran, lost in the pack of dual core, high resolution devices. i cant believe the hype over this phone. its crazy. if it lives up to everything, then it will be the cream de le cream of all phones. So far, the LG revolution is all that for me, only flaw i can find with it is the little cover that goes over the charging port when its not in use. its a terrible quick short cut they took there, but besides that.. its awesome. puts the charge to a sad shame. On the other side of the coin, I keep hearing that this phone (the bionic) is cancelled, discontinued or whatever. Or renamed something else. I dont know. It keeps phone fanatics like myself (and I think most of you folks also) on the edge of ones seat. I just wish we could hear something more official. In the mean time, those that are not wanting 4G LTE and are motorola fans, the droid x 2 seems to have some real promise from what I have heard. Probably, that could be why they are delaying it until later in the summer. TI really does make some good micro processors. the OMAP3630 in the Droid X and 2 were the better 1GHZ processors from the crop of last year's high-end phones. the only thing i'm torn between is the better benchmarks from the OMAP4 or Official Playstation support coming to phones with the Tegra II processor.